Happy Valentine's Day to all my fellow YA & Mysterybook lovers. 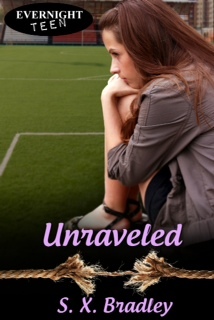 In honor of Valentine's day, I am giving away an Ebook or paperback (You choose) of my new YA mystery novel, Unraveled. Sixteen year old math whiz, Autumn, spends her days reading about serial killers and dreaming of becoming an FBI Profiler. She never dreams her first case will be so personal. Her world is shattered when she comes home from school and discovers her murdered sister’s body on the living room floor. When the initial evidence points to a burglary gone wrong, Autumn challenges the police’s theory because of the personal nature of the crime. Thinking that finding the killer will bring her family back together, she conducts her own investigation using her affinity for math and forensics, but her plan backfires and her obsession with the case further splinters her family. To win just leave a comment with either your favorite YA or mystery novel and the author's name and I'll choose a winner at random on Feb 18th, so please include your e-mail.. Please visit my fellow Evernight Teen author's websites to win more prizes. Click the links below. My young adult mystery is out Friday, Feb. 8, 2013. Available in Paperback and E-book from major retailers.